For the first time in recent history, immigration reform is a priority for the White House and Congress, thanks to politics and demographics – the growing Latino vote fueled Democratic electoral successes in 2012. But faith groups say the issue is more than cold calculus, and they are adding their voices to the debate. Evangelical leaders, for example, are maintaining a constant push for bipartisan action on the matter in 2014. Shortly after the November 2012 election, they released open letters to President Barack Obama and to congressional leaders laying out moral principles for immigration reform and urging action within the first 92 days of Obama’s second term. Catholic bishops, longtime advocates for immigrant rights, launched a postcard campaign in 2013 for comprehensive reform. And mainline Protestants are lobbying, as well. The Lutheran Immigration and Refugee Service is calling attention to recent reports of inhumane treatment at some immigrant detention facilities and encouraging the nation’s leaders to take corrective action. In the meantime, the White House is using its executive powers to press ahead with immigration changes that don’t require congressional involvement. 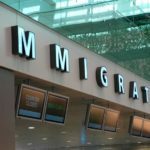 On the heels of a June 2012 announcement that it would no longer deport young illegal immigrants who have grown up in the U.S., the administration decided in early January 2013 to ease visa requirements for undocumented immigrants who want to stay in the U.S. while seeking permanent residency. Action is occurring at the state level, too. In December 2012, Colorado became the fourth state to adopt an immigration “compact” that seeks to foster a comprehensive approach to the issue — that is in contrast to the enforcement-only emphasis favored by some states in recent years. When Utah unveiled a similar compact in 2010, religious leaders were among those who participated in a public reading of its principles. Beginning in late 2013, the southern border has seen a massive surge in migrants, many of whom are children. With joblessness now below 8 percent and with hopes for further improvement, the pace of illegal immigration — and calls to address the issue comprehensively — could add more urgency to the debate for all sides. Historically, the United States has been a nation of immigrants. It has also long been seen as a harbor for religious migrants seeking freedom of worship. That is why the Pilgrims first came to America and why immigrants of many other faiths still seek entry. Those immigrants continue to renew or transform American religion. But many argue that wide-open immigration, especially for non-Christians, is changing what is essential about the United States, including the nation’s foundational faith traditions. Consequently, the debate over immigration reform can be seen as a debate about American identity. By some estimates there are as many as 11 million undocumented or illegal immigrants (the preferred adjective varies) in the United States, and experts say a strict law enforcement approach has not stanched the influx. Promoting immigration reform and aiding immigrants are priorities for many religious groups, whose leadership has been deeply involved in the political debate. These faith communities often have different reasons for their positions. But for most, the immigration debate centers on shared religious principles of hospitality to the stranger, charity for the needy and justice for the oppressed. When it comes to immigration, however, those views are not necessarily shared by worshippers in the pews. Americans consistently rank immigration reform as a top priority, but a strong majority of those who follow the issue want that reform to start with a law-and-order approach to illegal immigrants. A complicating factor today is that many Republicans worry that if they oppose immigration reform now they may suffer politically in the future because of the growing presence and influence of Hispanics. Meanwhile, some Hispanic leaders say that Obama and the Democrats must deliver on their promises to enact immigration reform if they want to retain Latino support. Read a Jan. 12, 2013, New York Times article that says Obama will push for a sweeping overhaul on immigration, rather than piecemeal legislation, and that he will insist on providing a path to citizenship for immigrants who gain legal status. Read a Jan. 3, 2013, Washington Post story about the White House’s use of executive powers to reshape immigration while awaiting congressional action on reform. Read a Jan. 3, 2013, Catholic News Service story about National Migration Week and Catholic bishops’ renewed push for action on immigration. Read a Jan. 3, 2013, column in The Jewish Daily Forward that gives a Jewish conservative’s perspective on the debate. Read a Jan. 3, 2013, column at jweekly.com urging Jewish support for “just and compassionate” immigration reform. The author is Eric D. Horodas, outgoing board chair for the Anti-Defamation League’s Central Pacific Region. Read a Jan. 1, 2013, post on the website of the Council on Foreign Relations on why immigration reform was expected to happen at the start of President Obama’s second term. A December 2012 Las Posadas procession in Salt Lake City incorporated the reading of a multifaith statement backing immigration reform. Plans for the event were detailed on The Salt Lake Tribune’s Following Faith blog. Read a Dec. 12, 2012, Salt Lake Tribune article about Colorado’s new immigration compact. Read a Dec. 8, 2012, San Antonio Express-News story about the influence that evangelicals could have on Republican lawmakers’ immigration positions. Read a June 11, 2012, story at Catholic World News about the hierarchy’s opposition to an alternative immigration reform bill sponsored by Florida Republican Sen. Marco Rubio. Read a May 31, 2012, article from the Catholic News Agency about the 2012 Regional Bishops’ Consultation on Migration, held May 28-30 in Santo Domingo, where bishops denounced certain states’ immigration laws. Read a May 30, 2012, article from Reuters about the continuing discord in Alabama as a result of the strict immigration law implemented there in 2011. A March 8, 2012, Religion News Service article describes a study from the Pew Forum on Religion & Public Life that found that Jews are the world’s most migratory group. In this June 12, 2012, interview, Focus on the Family’s Jim Daly tells Christianity Today why he joined a coalition of evangelical leaders supporting immigration reform when the organization has not taken a public stance on the issue in the past. Gospel Without Borders, a documentary on immigration, was released by EthicsDaily.com, a division of the Baptist Center for Ethics.The film was produced primarily with funding from the United Methodist Foundation of Arkansas but features religious leaders from various denominations. Read a column by an immigration lawyer at the website of the monthly magazine U.S. Catholics about the facts of immigration. In June 2012, a broad coalition of evangelical leaders unveiled an Evangelical Statement of Principles for Immigration Reform, which was seen as an important step in solidifying faith-based support for reform. Read an article from July/August 2014 issue of Mother Jones about the expected surge of unaccompanied children arriving at the southern border of the United States in 2014. In June 2012, the Supreme Court ruled that key parts of Arizona’s strict 2010 immigration law were unconstitutional. Still, Gov. Jan Brewer noted that the decision left intact one of the law’s most important provisions: that police have the right to check a person’s immigration status in the course of enforcing other laws. Births among minority groups, mainly Latinos, now outnumber births among whites – a result of immigration and birth rates. Asians have replaced Hispanics as the leading immigrant group to the U.S. Polls show that Americans generally want immigration reform but are concerned about the possible negative effects on immigrant families and on increasing the risks of bias against Hispanics in particular. Those concerns are balanced against a desire for greater border security, which is why there is general support for the Arizona law, for example. The Shorenstein Center on Media, Politics and Public Policy’s Journalist’s Resource gathered twelve studies about immigration to the U.S.
A Gallup poll released in June 2012 found Americans a bit more positive about immigration than in the recent past. See an April 29, 2010, Gallup poll analysis of Americans’ views on the Arizona immigration law. A March 2010 survey by the Public Religion Research Institute found broad support across religious groups for comprehensive immigration reform and strong approval for clergy speaking out on the issue. In December 2009, the Center for Immigration Studies released results of a poll conducted by Zogby International. Among its findings: Many people of faith want overall immigration reduced, regardless of what their religious leaders are advocating on the issue. The findings drew criticism from the Public Religion Research Institute. The Pew Research Center has an archive of reports, polls and news stories on immigration, with particular attention to the role of religion. The Gallup Poll (subscription required on some articles) has surveys on overall views of immigration. A roundup of surveys on Americans’ views toward immigrants and immigration. The Pew Center on the States’ Stateline website tracks immigration news at the state level. The White House website has a fact sheet on the DREAM Act laying out the arguments for the legislation. The Pew Hispanic Center has a map (2011) of unauthorized immigrants in the U.S. with state-by-state data. Read a July 21, 2010, discussion among religious leaders on immigration reform, hosted by the Council on Foreign Relations. The Council on Foreign Relations has a web page listing a number of immigration experts and their contact information. The libertarian Cato Institute in 2009 released a study claiming that legalizing undocumented workers in the United States would bring an added $180 billion to the U.S. economy during the next decade, while only toughening laws and tightening borders would actually hurt American households economically. Since the history of the United States is largely the story of immigration, it is not surprising that the history of nearly every religious community in the United States, from Puritans to Muslims, is also a story of immigration. These are not static stories, either. Religious groups continue to be affected and even transformed by immigration. Mormonism, for example, is considered a “home-grown” American religion, and yet today much of the church’s growth is in the immigrant Latino community. The same holds true for Pentecostalism. Faith organizations such as Interfaith Alliance, Sojourners and the Interfaith Coalition for Immigrant Rights work closely with immigration advocacy groups such as the National Network for Immigrant and Refugee Rights and the National Immigration Forum. Christians for Comprehensive Immigration Reform is a campaign of Sojourners that educates and mobilizes Christian organizations, churches, and leaders from across the theological and political spectrum to advocate for comprehensive U.S. immigration reform and compassionate immigration policies at the state level. The Gamaliel Foundation describes itself as a nonpartisan, faith-based organizing network of 72 affiliates in 26 U.S. states and five provinces of South Africa. The foundation is a leading advocacy group for comprehensive immigration reform. The Interfaith Immigration Coalition is a group of faith-based organizations that work for immigration reform and justice. Its umbrella covers 500 national and local faith-based organizations and individuals and includes Mennonite, Jewish, Catholic, Christian, Quaker and Unitarian groups. Sojourners magazine is a progressive evangelical magazine in Washington, D.C. Its commitment is to faith in action for social justice. Jim Wallis is CEO and editor in chief of Sojourners. The Interfaith Coalition for Immigrant Rights (ICIR) is an organization formed by California religious leaders to support the rights and fair treatment of immigrants. Rev. Deborah Lee is project director. Contact: dlee@clueca.org, 510-893-7106 ext. 319. The National Network for Immigrant and Refugee Rights works to protect the rights of immigrants and refugees and to promote social and economic justice globally. Catherine Tactaquin is executive director. The National Immigration Forum advocates for the rights and integration of immigrants and works for productive immigration reform. Ali Noorani is executive director. Kevin Appleby is director of the Office of Migration and Refugee Services of the U.S. Conference of Catholic Bishops, which works with both grass-roots Catholic groups and the bishops to advocate for immigration reform. David Badillo is associate professor of Latin American and Puerto Rican studies at Lehman College at the City University of New York and author of Latinos and the New Immigrant Church, about the Catholic Church. William Donohue is president of the Catholic League for Religious and Civil Rights, an organization that is akin to a Catholic counterpart to the Anti-Defamation League. Virgilio Elizondo is a professor of pastoral and Hispanic theology at the University of Notre Dame and a fellow at the Institute for Latino Studies and Kellogg Institute. He is widely considered the “father of Hispanic theology” and frequently comments on the intersection of Latino culture and religion. Evangelicals are often, and mistakenly, viewed as a white, politically conservative bloc of loyal Republicans. But the influx of Latino evangelicals is helping to create splits and tensions among evangelicals in the United States. Read a March 22, 2010, story at Christianity Today that discusses the changing demographic and political calculus for evangelicals. Amy Bliss Tenney is an immigration legal services attorney for World Relief, the development arm of the National Association of Evangelicals. World Relief is involved with refugee resettlement. The Rev. Leith Anderson is president of the National Association of Evangelicals and the former senior pastor of Wooddale Church in Eden Prairie, Minn.
Jim Daly is president of Focus on the Family, a global Christian ministry dedicated to helping families thrive. Contact Daly through Focus on the Family vice president of media and public relations Paul Batura. Richard Land is president of the nondenominational Southern Evangelical Seminary in Charlotte, N.C., and previously served for 25 years as president of the Southern Baptist Convention’s Ethics & Religious Liberty Commission. The Rev. Jim Wallis is an evangelical author and commentator and the founder of Sojourners magazine, a periodical that tries to promote social change through Christian values. He has served on the White House Advisory Council on Faith-based and Neighborhood Partnerships and can comment on public policy issues. Leaders of the mainline Protestant churches and related organizations have generally supported immigration reform, on scriptural and other grounds. These denominations are trying, with varying degrees of success, to attract ethnic and racial minorities to their predominantly white churches. Their support for immigrants is also in keeping with their moderate to liberal political stances. Linda Hartke is the president of the Lutheran Immigration and Refugee Service, an organization that serves both the Evangelical Lutheran Church in America and Lutheran Church-Missouri Synod. It helps resettle refugees, protect unaccompanied refugee children, advocate for the just treatment of asylum seekers and seek alternatives to detention for those incarcerated during immigration proceedings. Ricardo Hernandez works on immigrant and refugee rights for the American Friends Service Committee. Contact 215-241-7132. Bill Mefford is director of civil and human rights at the United Methodist General Board of Church & Society. Deborah Stein is the director of the Episcopal Migration Ministries, the refugee resettlement program of the Episcopal Church. Rick Ufford-Chase is the founder of BorderLinks, a nonprofit, faith-based educational organization in Tucson, Ariz., that focuses on cross-border relationship building opportunities, issues of immigration, community formation and development, and social justice in the borderlands between Mexico, the U.S., and beyond. He was also the moderator of the 216th General Assembly of the Presbyterian Church (U.S.A.). Read a June 20, 2011, story at Religion Dispatches about the LDS Church’s position on immigration. An April 30, 2010, Salt Lake Tribune article examines Mormons’ varying views on immigration reform. African-American denominations have generally not been outspoken leaders about immigration reform. This reflects a deep concern within the African-American community that immigrants, who tend to migrate to urban centers where African-Americans are concentrated, will hurt blacks on the lower end of the economic ladder because they will accept lower wages, even less than the minimum wage at times. See an Oct. 3, 2012, video and story at TheHill.com about an ad that appears to pit African-Americans against immigrants. Read a March 21, 2010, Huffington Post column on whether the black church supports immigration reform. Read a June 13, 2007, New York Times story about an African-American congregation in Mamaroneck, N.Y., that serves as an official hiring site for largely Hispanic day laborers. One expert says very few of the nation’s hiring sites are associated with African-American churches. Listen to an April 3, 2006, Talk of the Nation program on National Public Radio about the contentious issues of African-Americans, immigration and social justice. David W. Wills is Winthrop H. Smith ’16 Professor of American History and American Studies in the religion and black studies departments at Amherst College in Amherst, Mass. He is general editor of “African-American Religion: A Documentary History Project.” Wills is a historian of religion in the U.S. with particular emphasis on African-American religious history. American Jews have traditionally taken a strong stand on behalf of immigrants and refugees because of Judaism’s teachings on the issue and because of the lifeline that immigration – especially to America – has provided for persecuted Jews. Also, Jewish immigrants often faced the same prejudices and difficulties that today’s immigrants face. Read a Jan. 27, 2010, story in The Forward about the emergence of a political alliance between Jews and Latinos. Ira Mehlman is media director for the Federation for American Immigration Reform. FAIR advocates for changes in immigration law that would reduce the number of immigrants allowed to enter the United States. Mehlman contends that Jews could face increased anti-Semitism if more immigrants are allowed into the U.S. Contact Mehlman through FAIR press secretary Cassie Williams. The nation’s Islamic community has been at the center of the immigration debate, though not always for the best reasons. Immigration fears spiked after the Sept. 11 terrorist attacks and amid the subsequent war in Iraq and escalating concerns over terror attacks by radical Muslims who might be allowed into the country. Islamic groups have generally supported immigration reform as a way to protect the rights of Muslims and to ensure that they receive equal treatment. Immigrants are also a leading source of new congregants for American mosques. Opponents of immigration often cite concerns about terrorism in order to thwart reforms. Experts say that has made many Muslims and Islamic groups wary of speaking out on behalf of reform legislation. Nothing illustrates the potential impact of immigration reform more clearly than the 1965 major immigration overhaul. In 1965, Congress abolished the quotas that had favored Europeans and for much of the century greatly limited immigration from Asia. The subsequent influx of Asians, who brought the pluriform religious traditions of Hinduism and Buddhism, along with Sikhism and other faiths, helped recast American spirituality. Many ethnic and religious leaders from these countries worry that immigration reform will start to close the door on their co-nationals, many of whom are also Muslim. The conundrum for some politicians is that many of the highly skilled workers that the United States needs also come from these Asian countries and are members of these religious communities. Read an essay on the New Religious Movements website at the University of Virginia, by Timothy Miller of the University of Kansas. Miller examines the 1965 immigration reform and how it changed American religion and paved the way for New Religious Movements and the many “sects” or “cults” inspired by Eastern spirituality. Dr. Aseem Shukla is a urologist and a member of the board of directors of the Hindu American Foundation, a human rights group that says it favors a more humane immigration policy. Ernie Cortes Jr., the recipient of a MacArthur “genius” award, is on the executive team of the Industrial Areas Foundation, which engages in community organizing to encourage social change. He is widely known for developing leadership among Latino immigrant communities. Josh DeWind is program director of the Migration Program of the Social Science Research Council in New York City. He was a founding member of the Center for Immigrants Rights, National Coalition for Haitian Rights and National Immigration Forum. Pierrette Hondagneu-Sotelo is a sociology professor at the University of Southern California and an expert on issues of illegal immigration and the illegal-immigrant rights movement in the United States. She is the author of Doméstica: Immigrant Workers Cleaning and Caring in the Shadows of Affluence. Karen Leonard is an anthropologist at the University of California, Irvine. Her publications include Muslims in the United States: The State of Research and Immigrant Faiths: Transforming Religious Life in America. Ian F. Haney-López is the John H. Boalt Professor of Law at the University of California-Berkeley School of Law. An expert on race relations and law, he is the author of Racism on Trial: The Chicano Fight for Justice (Belknap/Harvard, 2003). Janet Murguia is the president and CEO of the National Council of La Raza, the largest national Hispanic civil rights and advocacy organization in the United States. Jeffrey S. Passel is a senior demographer for the Pew Hispanic Center, which has conducted research on Latino immigration patterns and Hispanic attitudes toward immigration policy. Jonathan D. Sarna is professor of American Jewish history at Brandeis University in Waltham, Mass. He is co-author of Religion and State in the American Jewish Experience and author of American Judaism: A History, which won the Jewish Book Council’s Jewish Book of the Year Award in 2004. Fenggang Yang is a professor of sociology of religion and director of Center on Religion and Chinese Society at Purdue University in West Lafayette, Ind. He has written about the economics of religious shortage in communist China. He wrote the 2011 book Religion in China: Survival and Revival under Communist Rule. He is also an expert in Asian immigration and Eastern religions. The Roper Center for Public Opinion Research at the University of Connecticut is one of the world’s leading archives of social science data, specializing in data from surveys of public opinion. The Center for Immigration Research at the University of Houston previously had a Religion and Migration Project. Jessica Brown is its director. The Center for Religion & Civic Culture at the University of Southern California has a principal focus on the study of religion and immigration and its various manifestations. The executive director of the center is Donald E. Miller, Firestone Professor of Religion at USC. Contact Brie Loskota. Contact: bloskota@usc.edu, 213-743-1614 , 567-307-0207. The Immigration & Ethnicity Institute at Florida International University has studied issues of religion and immigration. The Immigration History Research Center is based at the University of Minnesota. It is an interdisciplinary research center that brings together a variety of scholars. Erika Lee is director. The Zolberg Center on Global Migration is at the New School University in New York City. The Migration Program of the Social Science Research Council in New York City studies the interrelationship of migration and religion. Josh DeWind is director. The Population Studies Center at the University of Michigan is a leading resource for information about demographic trends in the United States. The center has access to dozens of scholars and experts. It has a page providing links to experts in specific fields. George J. Borjas is the Robert W. Scrivner Professor of Economics and Social Policy at Harvard University’s Kennedy School of Government. An immigrant from Cuba, he is the author of Heaven’s Door: Immigration Policy and the American Economy (Princeton University Press, 1999) and supports restrictions on immigration. Jennifer Johnson is a senior associate specializing in Mexico and the U.S./Mexico border with the Latin America Working Group (LAWG), based in Washington, D.C., a nonprofit coalition including many religious groups that encourages the U.S. to develop policies toward Latin America that promote human rights, justice and peace. Douglas S. Massey is a professor of sociology and public affairs at Princeton University. He also is co-director of the Mexican Migration Project, which compiles a year-by-year history of Mexican migration to the United States based on interviews with migrants. He is co-author of Beyond Smoke and Mirrors: Mexican Immigration in an Era of Economic Integration (Russell Sage Foundation Publications, 2003). Mark J. Miller is the Emma Smith Morris Professor of political science and international relations at the University of Delaware. His research focuses on comparative immigration and refugee policies, global migration and migration and security. Joseph Nevins is an assistant professor of geography at Vassar College in Poughkeepsie, N.Y. He is the author of Operation Gatekeeper: The Rise of the ‘Illegal Alien’ and the Making of the U.S.-Mexico Boundary (Routledge, 2002). James Russell is spokesman for Catholics for a Moral Immigration Policy and the author of Breach of Faith: American Churches and the Immigration Crisis, which decries “out-of-control immigration” and examines “why American churches do so much to further an agenda so obviously harmful to the well being of Middle Americans.” He is based in White Plains, N.Y. The Rev. Richard Ryscavage is a Jesuit priest and expert on global migration who teaches at Georgetown University. He previously directed Fairfield University’s Center for Faith and Public Life. He also formerly served as national director of the Jesuit Refugee Service and was the executive director of the United States Conference of Catholic Bishops Office of Migration and Refugee Services. Dr. Raleigh Bailey is the founding director of the Center for New North Carolinians, established in 2001 by the University of North Carolina board of governors as a resource to the state university system in immigrant outreach, research, and training. Héctor Fernández-L’Hoeste is a professor of modern and classical languages and director of the Center for Latin American and Latino/a Studies at Georgia State University. Hernan Prado is the CEO of Hola Latino and the founder, president and CEO of the Alabama Latin American Association. Helen Rose Ebaugh is a professor of sociology at the University of Houston who specializes in the sociology of religion as well as religion and new immigrants. Ruben Martinez is a writer, performer and teacher and the son of immigrants — his father is from Mexico, and his mother from El Salvador. Martinez is the author of The New Americans, which tells the stories of seven immigrant families and is the companion book to a PBS series on immigration from 2003. He also wrote Crossing Over: A Mexican Family on the Migrant Trail. Contact through Susan Bergholz. The Rev. Harold Recinos is a professor of church and society at Southern Methodist University’s Perkins School of Theology in Dallas. He has worked with immigrants in the United States and abroad and studies issues related to immigrants and refugees in the United States. Oscar Chacón is the executive director of the National Alliance of Latin American & Caribbean Communities (NALACC) whose mission is to bring about a more equitable and sustainable way of life for Latin American immigrant communities in the U.S.A.
Edwin I. Hernández is the director of the Center for Study of Latino Religion at Notre Dame University in South Bend, Ind. The center conducts social-scientific study of the U.S. Latino church, its leadership and the interaction between religion and community. Joshua Hoyt is executive director of the National Partnership for News Americans, which works to advance the integration and citizenship of immigrants. Media contact is Charlie McAteer. Until 2013, Hoyt was the chief strategy executive of the Illinois Coalition for Immigrant and Refugee Rights, which supports comprehensive immigration reform, including family reunification and a path to citizenship for undocumented workers. Its members include many religious and interfaith organizations. Timothy Miller is a historian of American religion in the religious studies department at the University of Kansas. His expertise is in new and alternative religions, and he has written about the impact of the influx of Eastern spirituality after the 1965 immigration reform act. Rich Nathan is pastor of Vineyard Church of Columbus in Westerville, Ohio, a congregation of 10,000 that includes members who came from 75 different countries. He has said he’s seen how the immigration system can separate families or prevent them from visiting sick or dying relatives. Luis Alberto Urrea is a writer and a professor of creative writing at the University of Illinois-Chicago. Urrea, a native of Tijuana, was a finalist for the 2005 Pulitzer Prize for nonfiction for his book The Devil’s Highway: A True Story (Little, Brown & Co., 2004). The book chronicles the attempt 26 Mexican men made in May 2001 to cross the desert into southern Arizona. Only 12 survived. Wayne Cornelius is a distinguished professor emeritus of political science and U.S.-Mexico relations at the University of California at San Diego and the director emeritus of the university’s Center for Comparative Immigration Studies and is co-editor of Controlling Immigration: A Global Perspective (Stanford University Press, 2004). Rev. Deborah Lee is executive director of the Interfaith Movement for Human Integrity, which is based in Oakland, Calif. She helped boost northern California churches’ participation in the sanctuary movement. Gastón Espinosa, assistant professor of religious studies at Claremont McKenna College in California, specializes in Latino religion and politics. Victor Davis Hanson is a fifth-generation Californian, a farmer, a classicist and a senior fellow at the Hoover Institution. He is the author of Mexifornia: A State of Becoming (Encounter Books, 2004), in which he argues that California is being transformed by illegal immigration from Mexico. Contact Hanson through the Hoover Institute’s public affairs office. Uriel Iniguez is the executive director of the Washington State Commission on Hispanic Affairs which looks to improve public policy development and the delivery of government services to the Hispanic community. Daniel J. Tichenor is the Philip H. Knight professor of social science, senior faculty fellow at the Wayne Morse Center for Law and Politics and a professor of political science at the University of Oregon. He is the author of Dividing Lines: The Politics of Immigration Control in America (Princeton University Press, 2002). The Rev. James A. Tolle is former senior pastor of the Church on the Way in Van Nuys, Calif., a congregation that includes many immigrants. Tolle has been active on the immigration reform issue, including testifying before a Senate subcommittee. He has been pastor of the Church on the Way’s Spanish-speaking congregation, La Iglesia en el Camino, and is now pastor of El Camino Metro in Los Angeles.